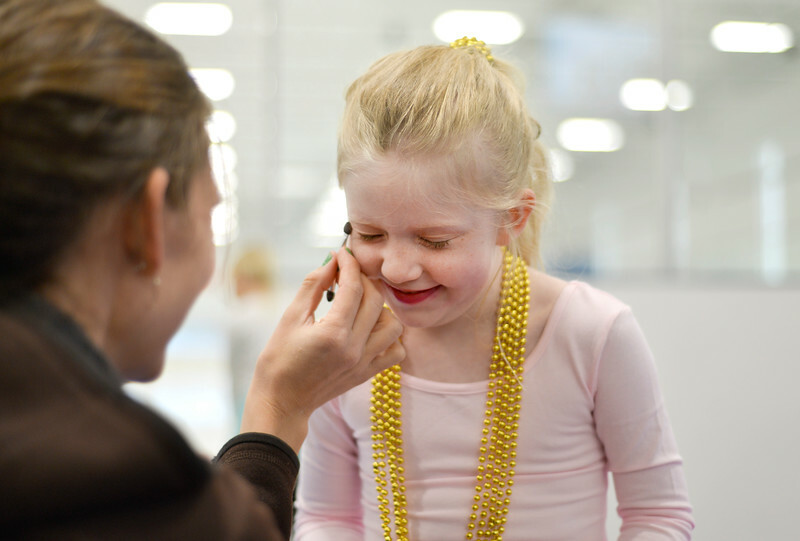 Five-year-old Avery Hansen pauses as she receives makeup during the dress rehearsal Monday for Sheridan Ice’s 8th annual Ice Show at Whitney Rink in the M&M’s Center. The figure skating show is free and open to the public on Tuesday, March 21, at 6:30 p.m. in the M&M’s Center. Molly Butler stretches during the dress rehearsal Monday for Sheridan Ice’s 8th annual Ice Show at Whitney Rink in the M&M’s Center. The figure skating show is free and open to the public on Tuesday, March 21, at 6:30 p.m. in the M&M’s Center. 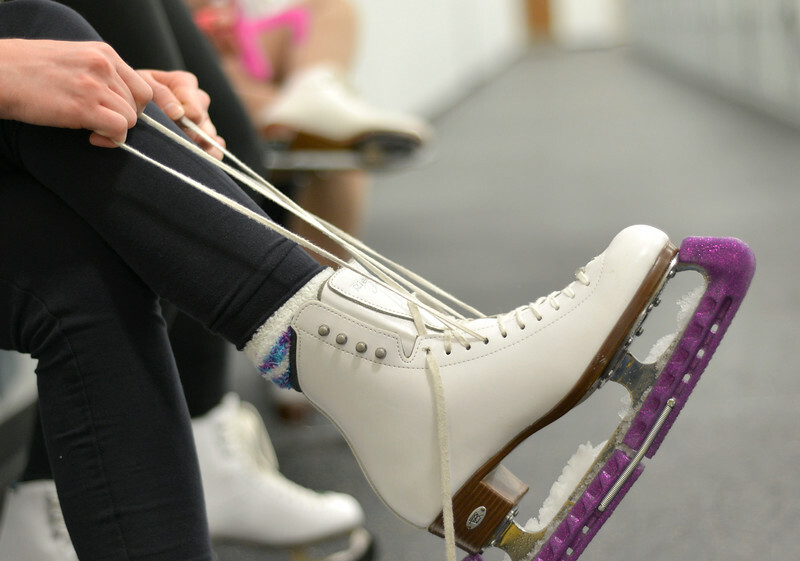 A figure skater tightens her skates during the dress rehearsal Monday for Sheridan Ice’s 8th annual Ice Show at Whitney Rink in the M&M’s Center. The figure skating show is free and open to the public on Tuesday, March 21, at 6:30 p.m. in the M&M’s Center. 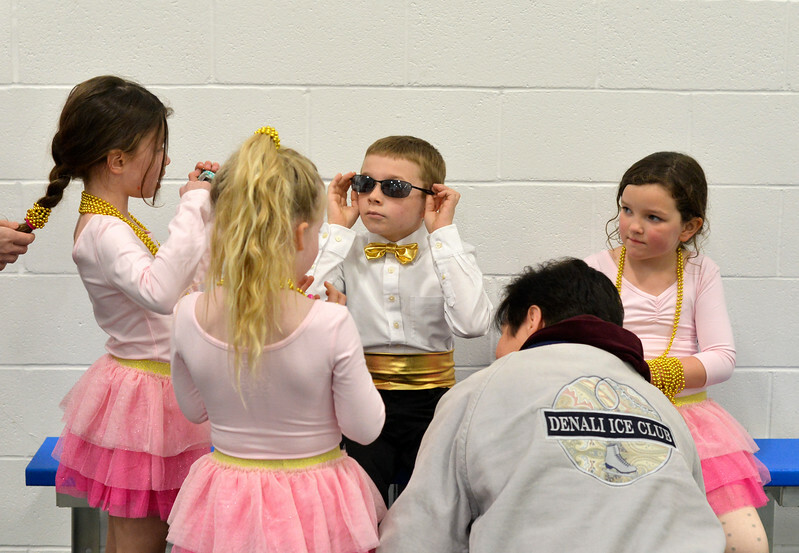 Pre-alpha skaters, from left, Maxine Crawford, Avery Hansen, William Voight and Ashland Schneider get ready to practice during the dress rehearsal Monday for Sheridan Ice’s 8th annual Ice Show at Whitney Rink in the M&M’s Center. The figure skating show is free and open to the public on Tuesday, March 21, at 6:30 p.m. in the M&M’s Center. 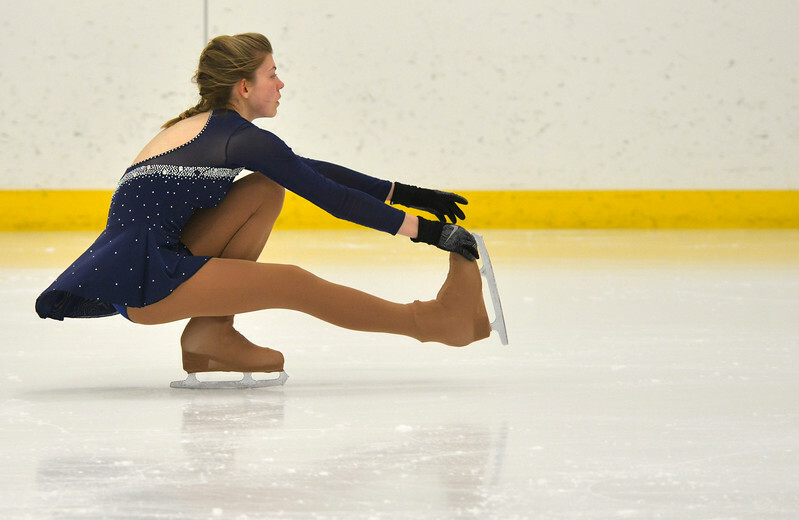 Katelyn Kayser grabs her toes during the dress rehearsal Monday for Sheridan Ice’s 8th annual Ice Show at Whitney Rink in the M&M’s Center. The figure skating show is free and open to the public on Tuesday, March 21, at 6:30 p.m. in the M&M’s Center. 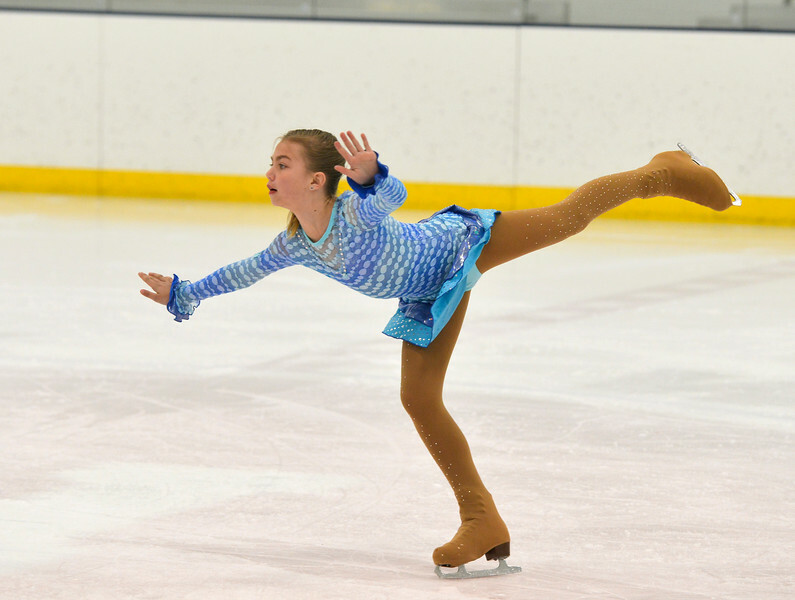 Genavieve Thoms glides over the ice during the dress rehearsal Monday for Sheridan Ice’s 8th annual Ice Show at Whitney Rink in the M&M’s Center. The figure skating show is free and open to the public on Tuesday, March 21, at 6:30 p.m. in the M&M’s Center. 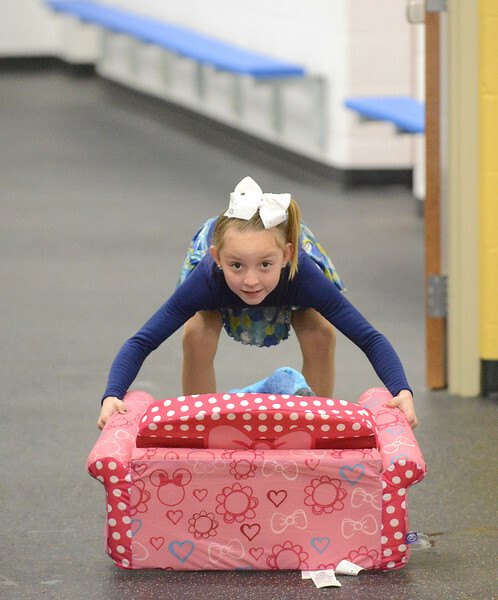 Marra Donahue picks up her props during the dress rehearsal Monday for Sheridan Ice’s 8th annual Ice Show at Whitney Rink in the M&M’s Center. The figure skating show is free and open to the public on Tuesday, March 21, at 6:30 p.m. in the M&M’s Center. Marra Donahue slides across the ice during the dress rehearsal Monday for Sheridan Ice’s 8th annual Ice Show at Whitney Rink in the M&M’s Center. The figure skating show is free and open to the public on Tuesday, March 21, at 6:30 p.m. in the M&M’s Center. Taylor Meixner glides across the ice during the dress rehearsal Monday for Sheridan Ice’s 8th annual Ice Show at Whitney Rink in the M&M’s Center. The figure skating show is free and open to the public on Tuesday, March 21, at 6:30 p.m. in the M&M’s Center. A student draws with charcoal in a mixed media art class during the after school program Tuesday at Coffeen Elementary School. Students learned about the values in the gray scale and followed various exercises including pulling a photo from a magazine, placing a viewfinder over a picture then creating a charcoal drawing from the image within the frame. 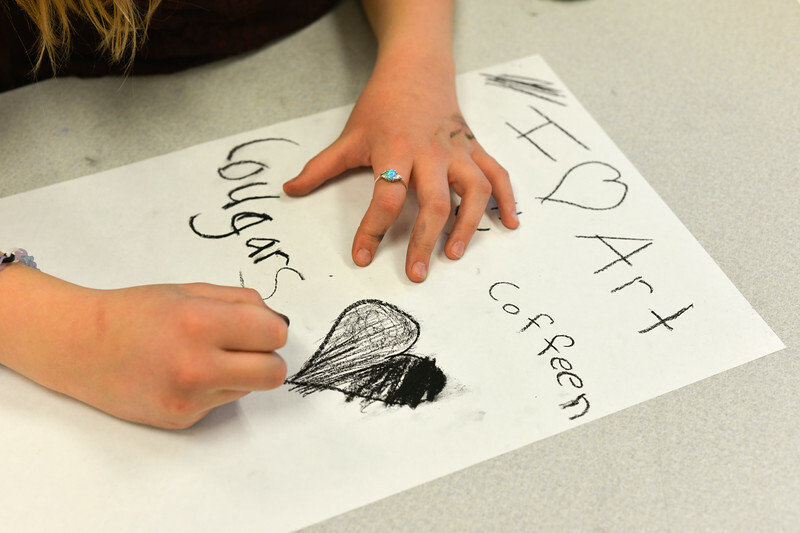 Peter Kaminsky’s hands turn black with charcoal in a mixed media arts class during the after school program Tuesday at Coffeen Elementary School. Students learned about the values in the gray scale and followed various exercises including pulling a photo from a magazine, placing a viewfinder over a picture then creating a charcoal drawing from the image within the frame. 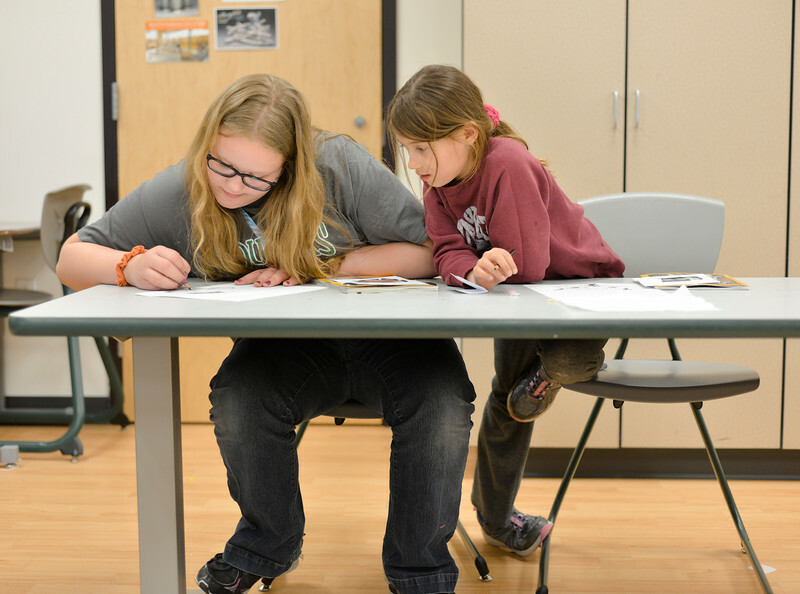 Fifth-graders Katrena Nelson, left, draws with charcoal as Aspen Weber looks on in a mixed media arts class during the after school program Tuesday at Coffeen Elementary School. Students learned about the values in the gray scale and followed various exercises including pulling a photo from a magazine, placing a viewfinder over a picture then creating a charcoal drawing from the image within the frame. 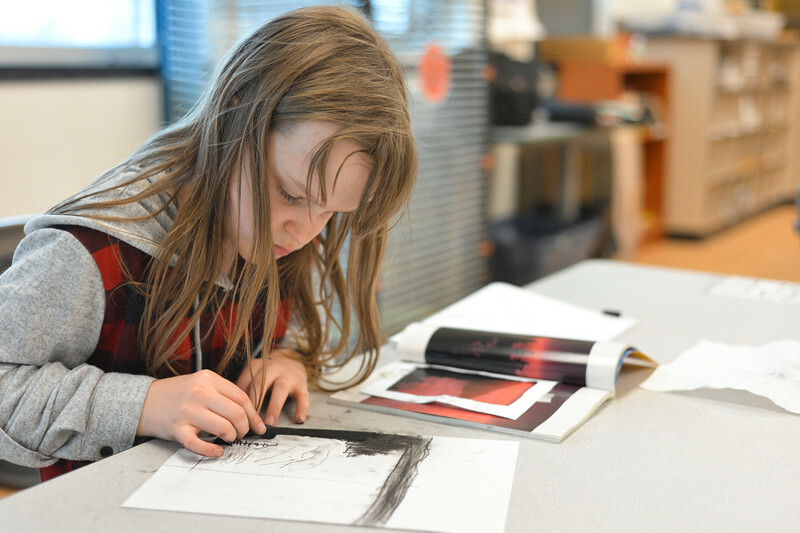 Fifth-grader Morgan Anderson draws with charcoal in a mixed media arts class during the after school program Tuesday at Coffeen Elementary School. Students learned about the values in the gray scale and followed various exercises including pulling a photo from a magazine, placing a viewfinder over a picture then creating a charcoal drawing from the image within the frame. 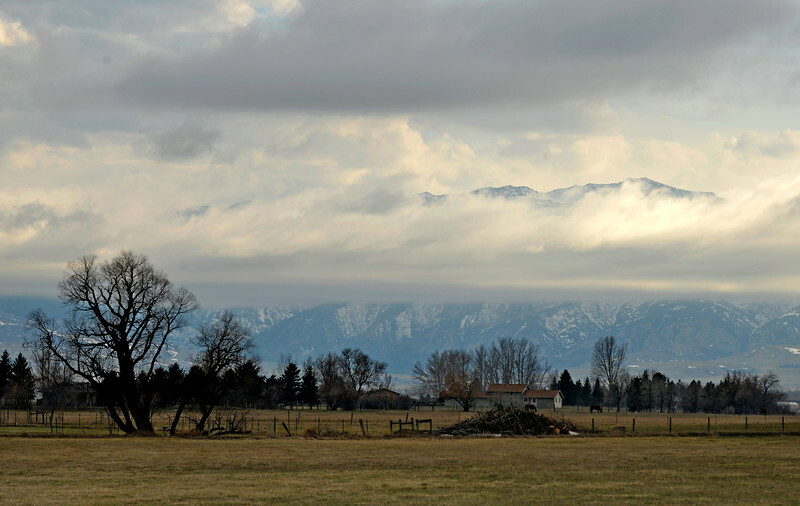 Clouds break in front of the face of the Bighorn mountains Tuesday morning near Big Horn. Rain is expected on Thursday followed by sunny weather into the weekend. 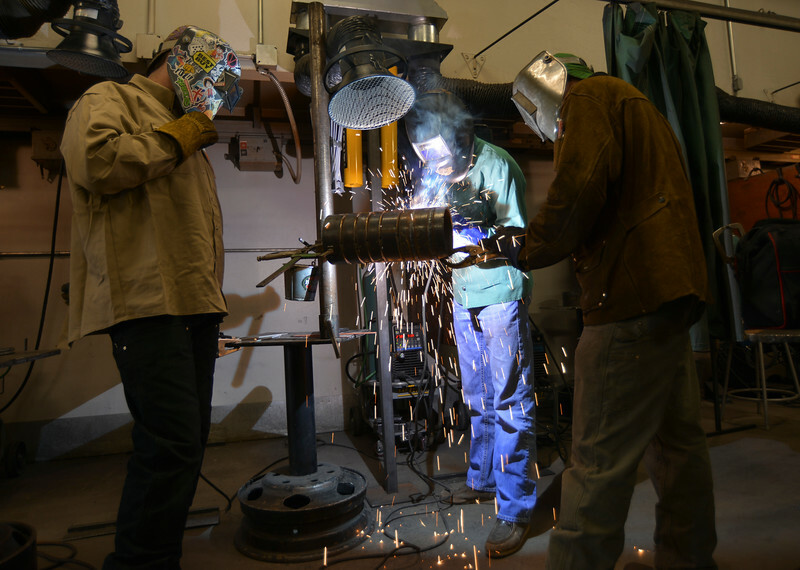 Welding students, from left, Chris Daniels, Ethan Hines and Jaden Paddock perform a shielded metal arc weld on a pipe during the Industrial Technology Programs Demo Day Wednesday in the Technical Center at Sheridan College. The event was open to high school students and teachers in industrial technology. College students held demonstration in areas of welding, diesel, machine tool and construction. Welding instructor Time Anderson, left, shows high school students the computer-controlled plasma torch during the Industrial Technology Programs Demo Day Wednesday in the Technical Center at Sheridan College. The event was open to high school students and teachers in industrial technology. College students held demonstration in areas of welding, diesel, machine tool and construction. 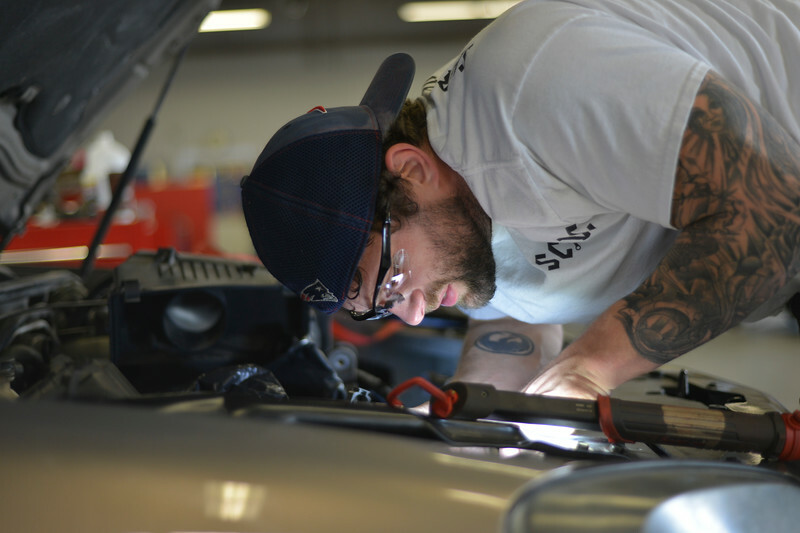 Diesel mechanic Daniel Zent works on a friends car for time in his skills class during the Industrial Technology Programs Demo Day Wednesday in the Technical Center at Sheridan College. The event was open to high school students and teachers in industrial technology. College students held demonstration in areas of welding, diesel, machine tool and construction. 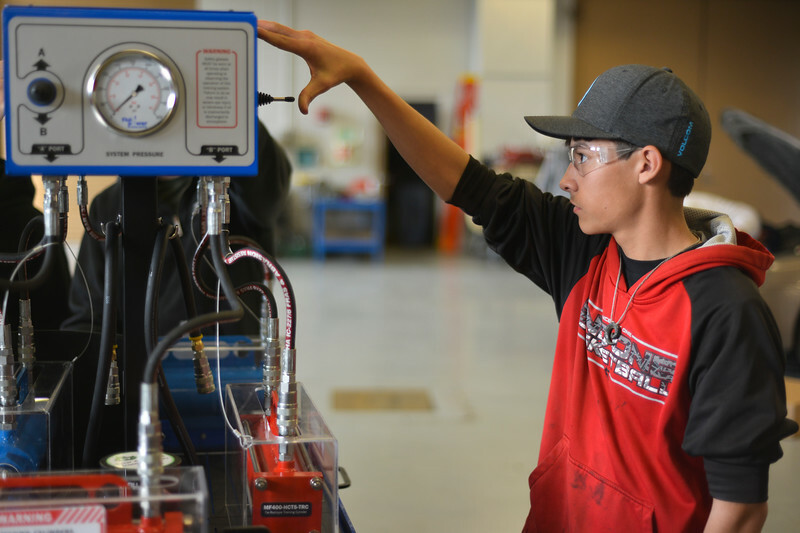 Dylan Scott, a junior high school student from Greybull, activates a hydraulic cylinder training system for testing engine cylinders during the Industrial Technology Programs Demo Day Wednesday in the Technical Center at Sheridan College. The event was open to high school students and teachers in industrial technology. College students held demonstration in areas of welding, diesel, machine tool and construction. 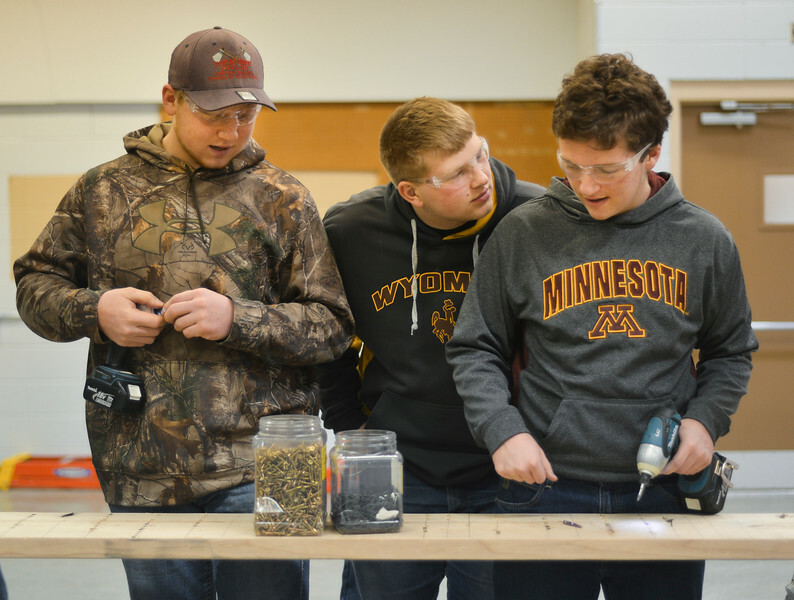 Tongue River High School students, from left, Kyler Heiling, Cory Loback and Gabe Veilleux drill screws into a board during the Industrial Technology Programs Demo Day Wednesday in the Technical Center at Sheridan College. The event was open to high school students and teachers in industrial technology. 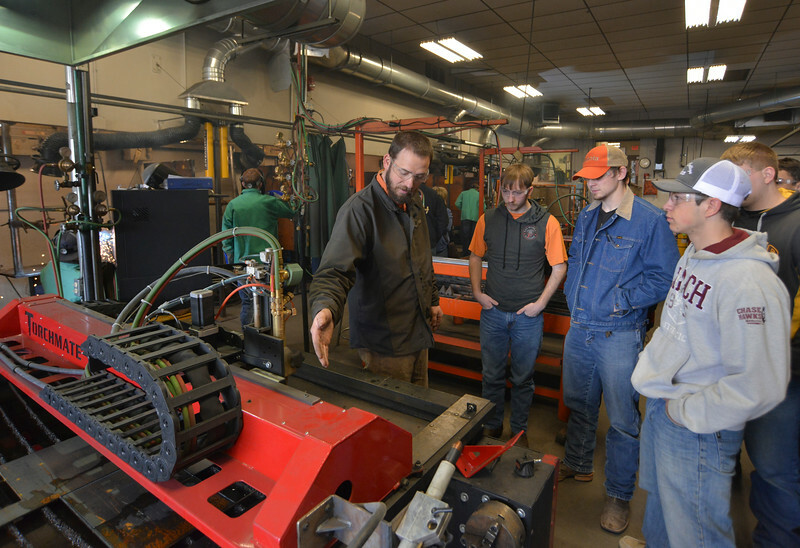 College students held demonstration in areas of welding, diesel, machine tool and construction. 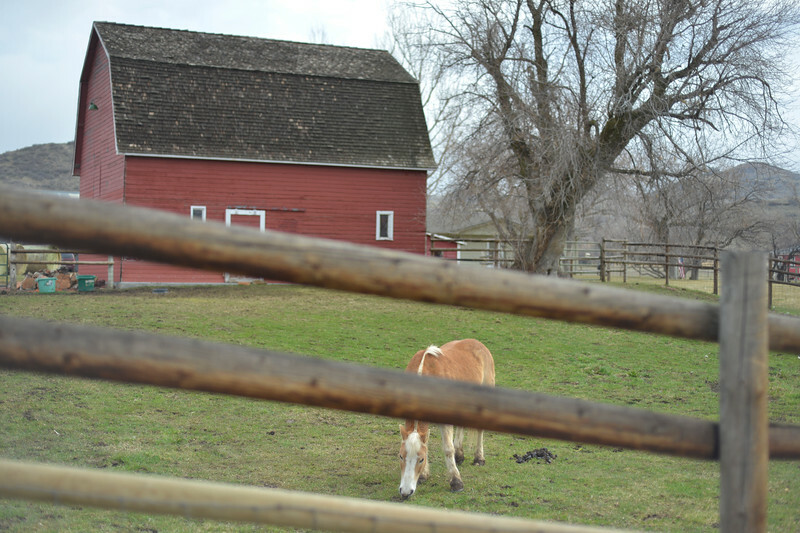 A pony grazes in a pen Wednesday at CHAPS Equine Assisted Therapy east of Sheridan. The nonprofit is one of several organizations that received grants from the WYoming Community Foundation earlier this month. 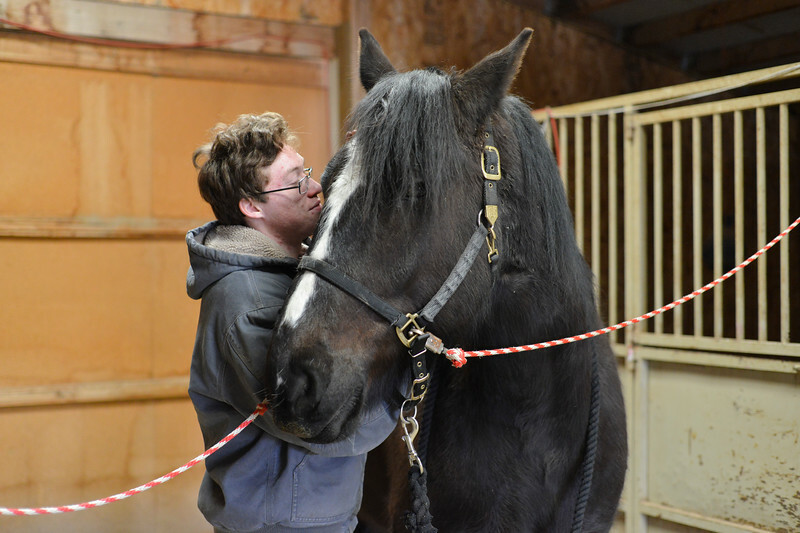 Matthew Elkins-Graham brushes his favorite horse Wednesday at CHAPS Equine Assisted Therapy east of Sheridan. The nonprofit is one of several organizations that received grants from the Wyoming Community Foundation earlier this month. 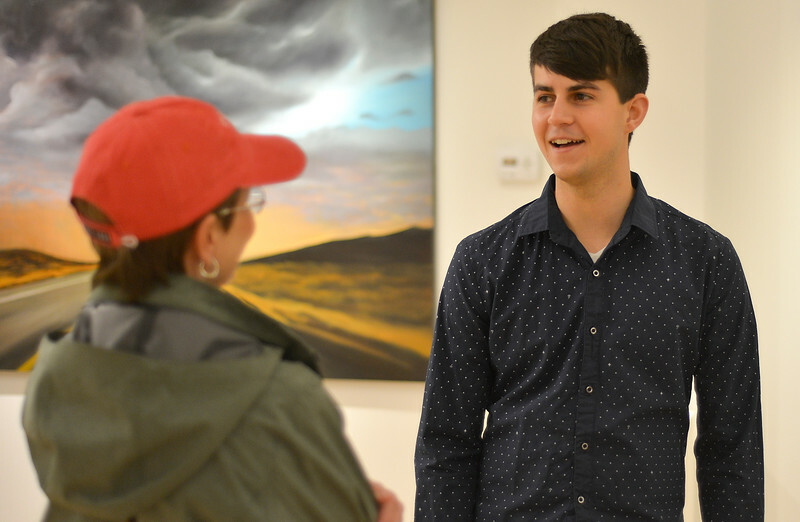 Local artist Micah Trampe visits with a guest during the artist reception for “Modern Masters” art show Thursday evening at SAGE Community Arts on Brundage Street. The gallery features work by Micah Trampe and Jenna Jordan. The gallery is open to the public through April 14, hours are 10 a.m. to 5 p.m., Tuesday through Friday. 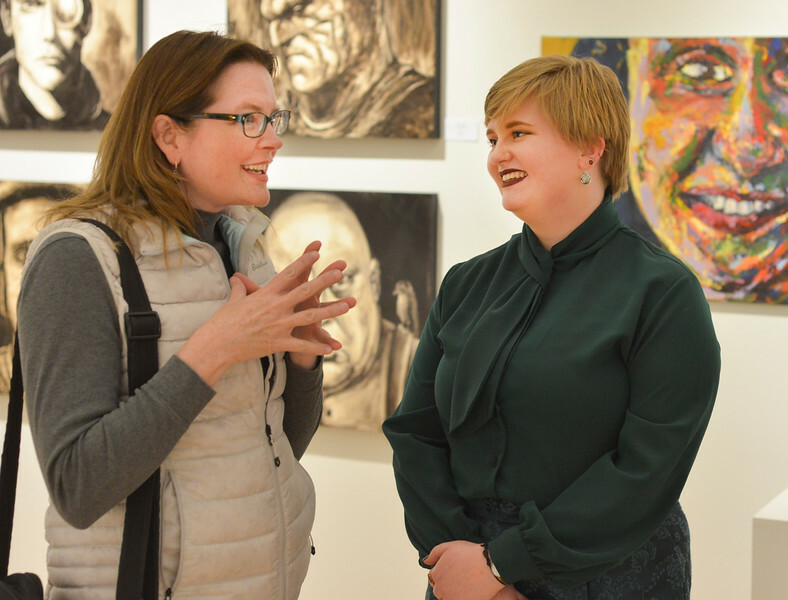 Kati Sherwood, left, visits with her former college art classmate Jenna Jordan during the artist reception for “Modern Masters” art show Thursday evening at SAGE Community Arts on Brundage Street. The gallery features work by Micah Trampe and Jenna Jordan. The gallery is open to the public through April 14, hours are 10 a.m. to 5 p.m., Tuesday through Friday. 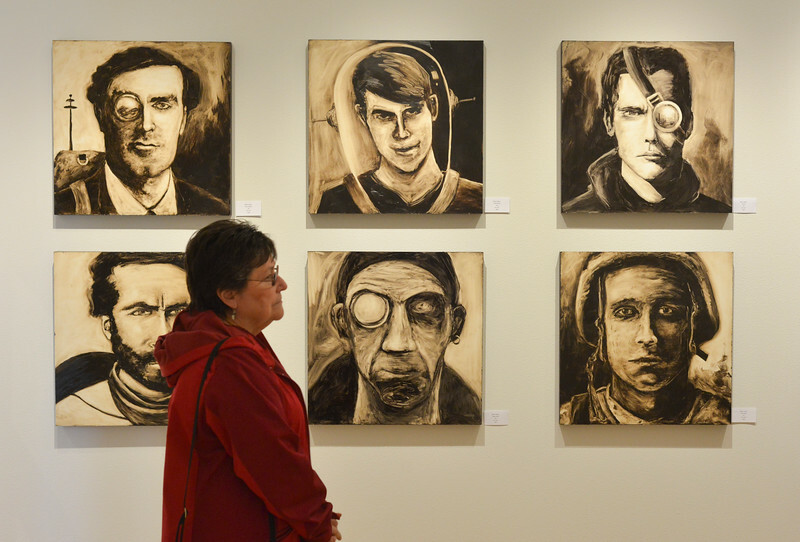 Carol Kolf looks at paintings during the artist reception for “Modern Masters” art show Thursday evening at SAGE Community Arts on Brundage Street. The gallery features work by Micah Trampe and Jenna Jordan. The gallery is open to the public through April 14, hours are 10 a.m. to 5 p.m., Tuesday through Friday. 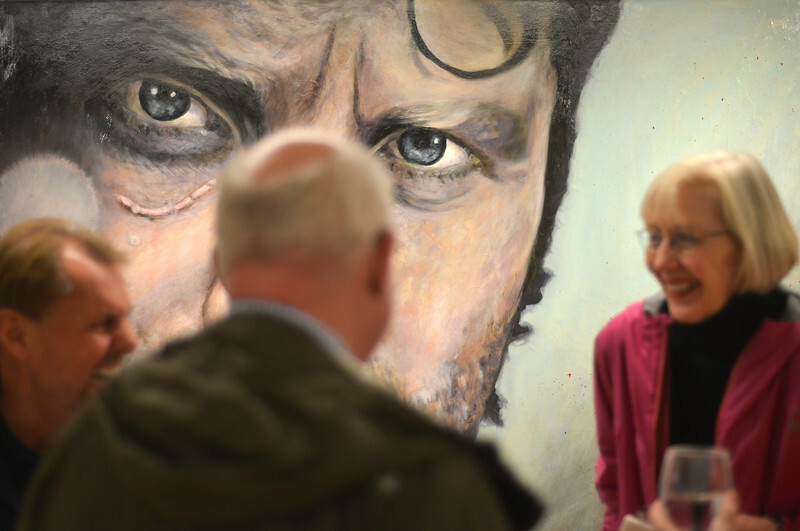 The eyes of Micah Trampe’s painting “Rick Grimes” looks on as guests mingle during the artist reception for “Modern Masters” art show Thursday evening at SAGE Community Arts on Brundage Street. The gallery features work by Micah Trampe and Jenna Jordan. The gallery is open to the public through April 14, hours are 10 a.m. to 5 p.m., Tuesday through Friday. 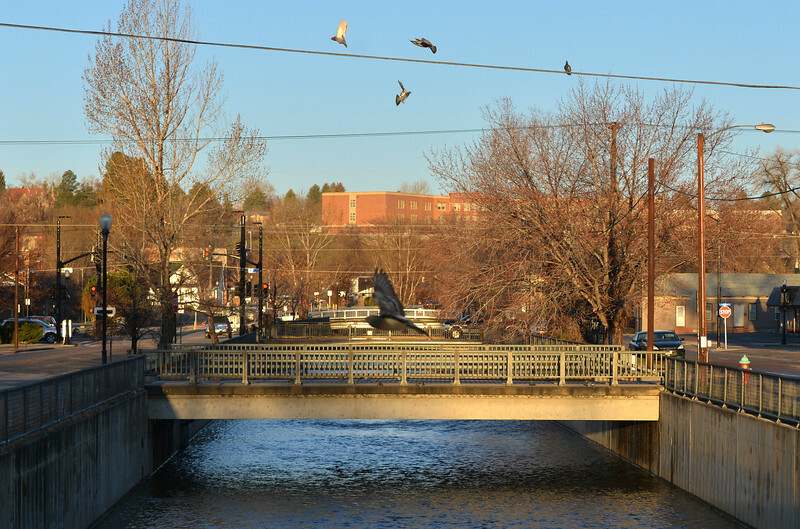 Birds fly over the Little Goose Creek in downtown Sheridan Friday morning. 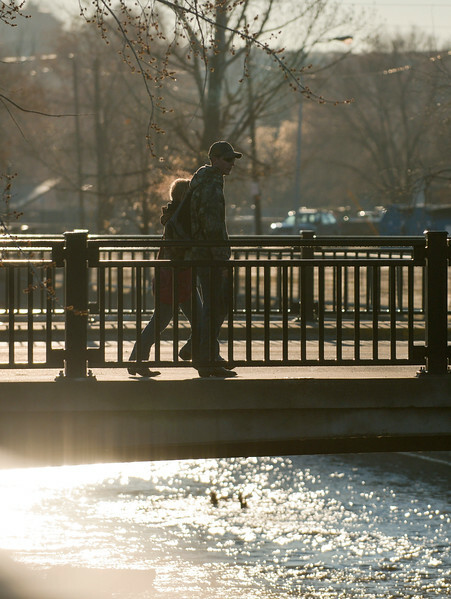 A person walks on a bridge over the Little Goose Creek in downtown Sheridan Friday morning. People cross the Little Goose Creek in downtown Sheridan Friday morning. 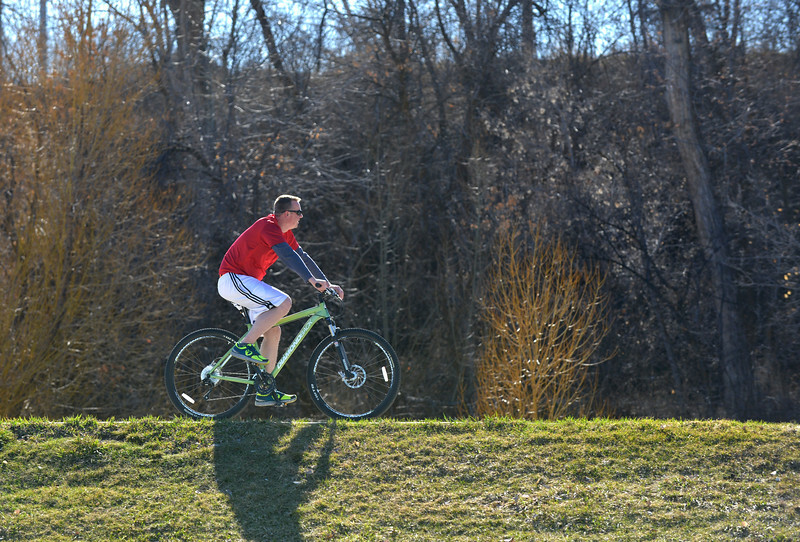 A man rides a bicycle through Thorne-Rider Park on a sunny Friday afternoon. 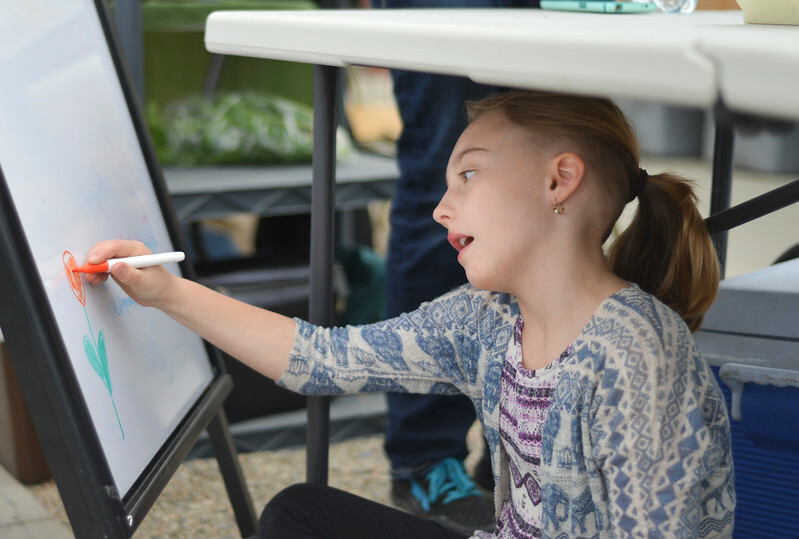 Nine-year-old Aira Wesnitzer doodles on a vendor’s whiteboard during the Farmers Market Saturday at Landon’s Greenhouse. The market has been running throughout the winter and spring every Saturday from 10 a.m. to noon. 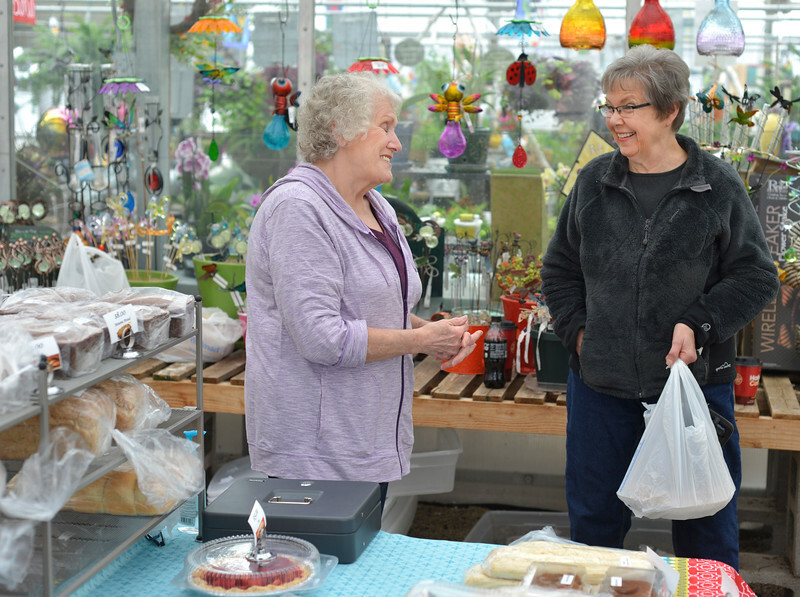 Local baker Lorean Newbrough chats with customer Barbara Katz during the Farmers Market Saturday at Landon’s Greenhouse. The market has been running throughout the winter and spring every Saturday from 10 a.m. to noon. 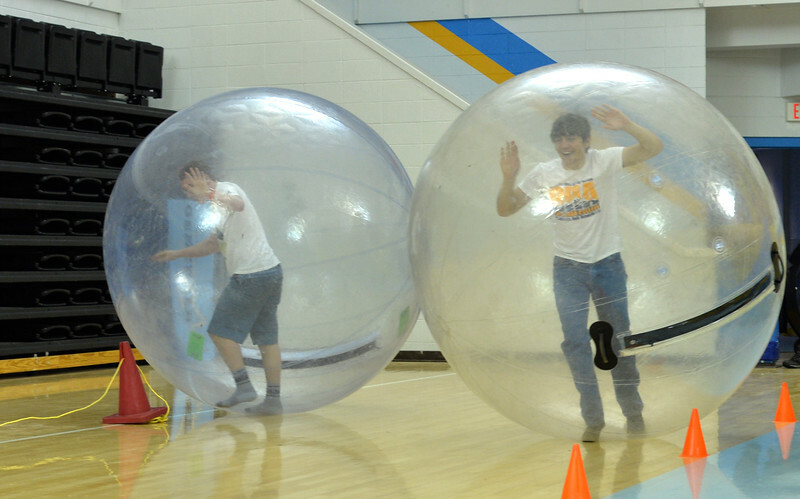 College students Austin Johnson, left, and Carson Haun race each other inside giant inflatable orbs during the carnival Saturday in the Bruce Hoffman Golden Dome at Sheridan College. 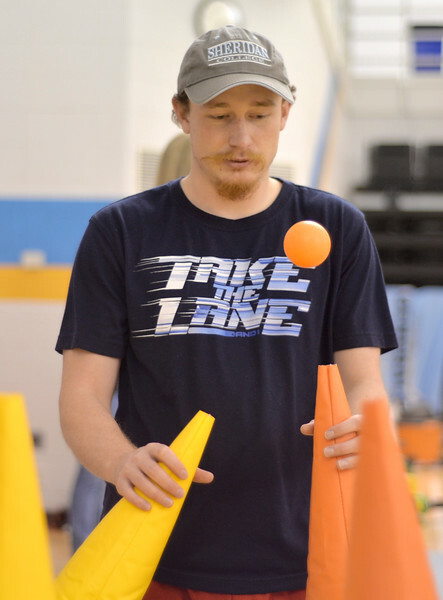 College student John Elsom plays a game relaying floating balls during the carnival Saturday in the Bruce Hoffman Golden Dome at Sheridan College. 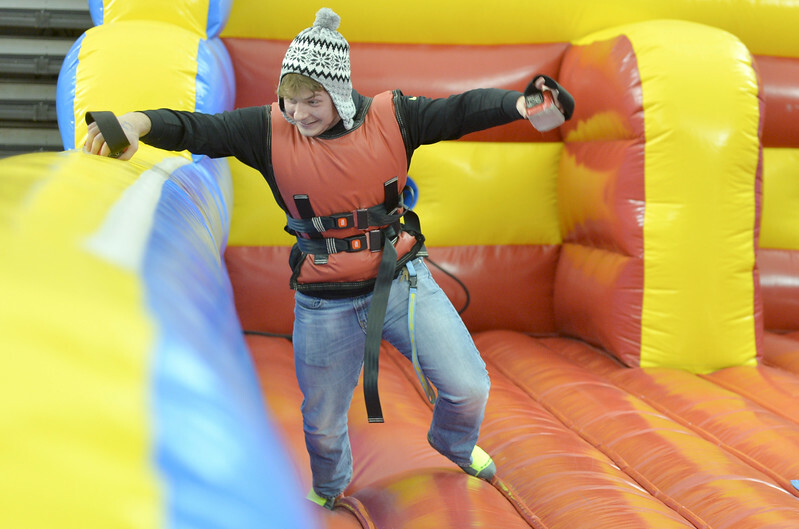 College student Dustin Ruvolo plays a bean game against another student during the carnival Saturday in the Bruce Hoffman Golden Dome at Sheridan College. 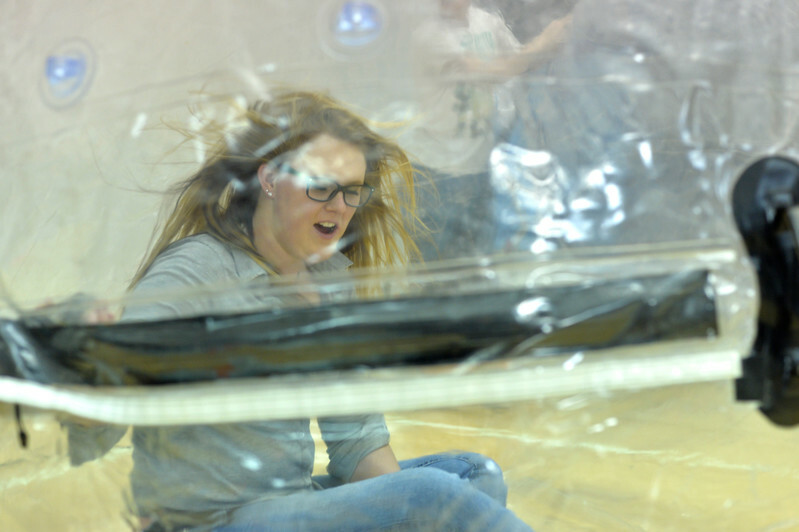 College student Kayla Conner sits inside a giant orb as it is inflated during the carnival Saturday in the Bruce Hoffman Golden Dome at Sheridan College. 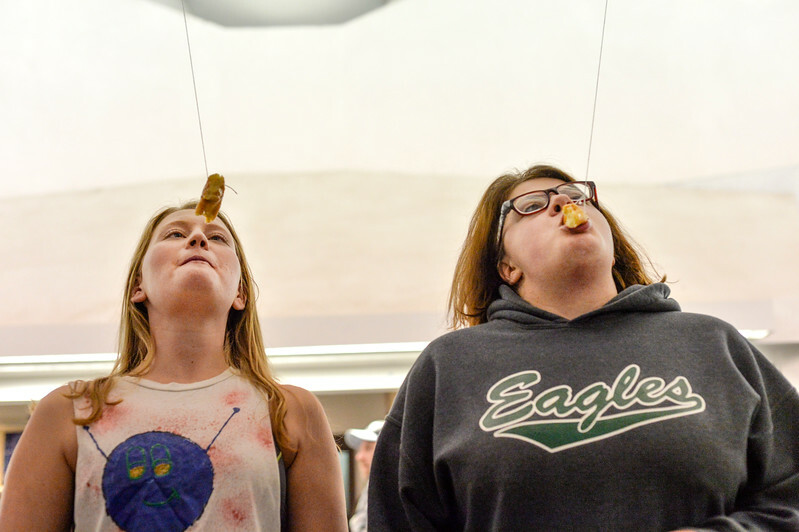 College students Allison Reed, left, and Lyndsey Black race to eat donuts from strings during the carnival Saturday in the Bruce Hoffman Golden Dome at Sheridan College.